Police say they have since killed at least 5,000 suspected drug dealers, although activists say the number could be far higher and they dispute official accounts that the killings were all in self-defence. 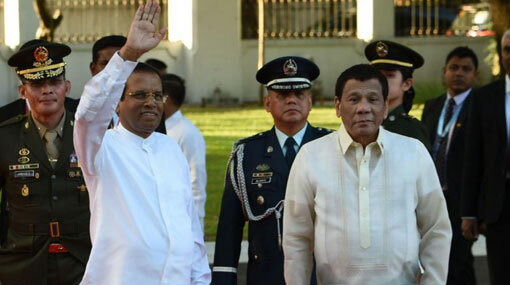 Predominantly Buddhist Sri Lanka voted in favour of a U.N. resolution for a moratorium on the death penalty in 2015, but Sirisena said last year he wanted convicted traffickers caught arranging drugs deals from jail to be executed. A spokesman for Sirisena did not immediately respond to a request for comment.